The Learning Centres offer a range of Connect programmes to encourage young adults to utilise the library resources for study and recreation, and to develop life-long learning habits for the digital age. These free programmes are one off sessions, and can be delivered for any level of ability for up to 30 students. The sessions can be delivered at the Learning Centres, at a library near to you, or at a school. They can be tailored to a specific topic or curriculum area. When study pressure is increasing, there are excellent databases and other electronic resources available through our library website. We have physical resources available and plenty of online help with background reading and specialist subject reference material. This session encourages students to broaden the pool of primary sources they are using for information and research, and to consider what is trustworthy and relevant. There are many fun and easy ways we can guide students to reliable study support in all areas of the New Zealand curriculum. 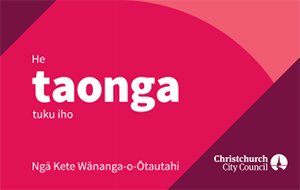 Ngā Kete Wānanga-o-Ōtautahi Christchurch City Libraries have a wealth of Māori Information resources, from the print based Ngā Pounamu Māori and Ngāi Tahu collections to the digital resources in the Te Ao Māori zone on our website. This session will introduce students and teachers to our wide ranging resources, which cover te reo Māori, tikanga, Matariki, whakapapa, arts and crafts, and local iwi history. A particular focus is given to Tī Kōuka Whenua, which provides localised information about the Māori cultural heritage of Christchurch and Canterbury. Located at Tūranga, Ngā Pounamu Māori is a permanent collection reflecting the important status of tangata whenua. We are happy to offer orientation and hands on sessions to classes at all levels in using our resources. Special emphasis is given to any material of local nature. Prior bookings are required for groups, so that we can plan and prepare for your visit. Your students will find: resources on cultural and traditional practices and protocols; historical information on New Zealand Land Wars; whakapapa resources; Treaty of Waitangi and te reo Māori resources. The Ngā Pounamu Māori collection holds the Ngai Tahu collection, the Māori Land Court minutes, and information related to Te Kerēme (Ngai Tahu treaty settlement claims). Nearly a quarter of library business is now online. In this session we will show students how to use our website to find free eBooks and other electronic resources such as online newspapers and eMagazines. We will demonstrate how to find any kind of e-material for leisure and/or learning. The emphasis is on the love of reading and how 21st century technology is enhancing the range and access to great content. Book a session to get the most out of our resource pack Remembering the First World War. We will help you and your students navigate primary sources on websites and to search databases to find digital imagery relating to World War One and the Canterbury Experience. We will explore sites such as Papers Past, Cenotaph and Christchurch City Libraries Website. We can help you make the past come alive for your students. If you do not have the resource pack please visit our website for a downloadable pack or contact us. All programmes require bookings. To book a place on one of our courses please phone (03) 941 7923 or email: learningcentre@ccc.govt.nz.